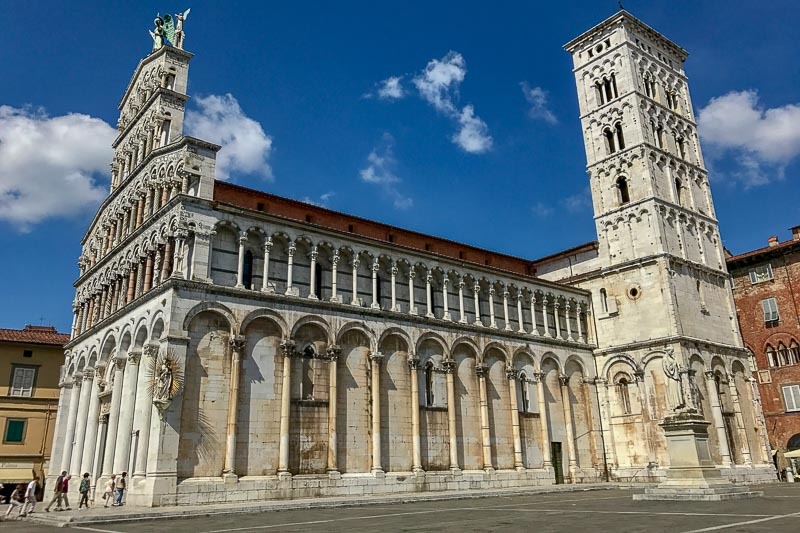 Lucca is a small Tuscan city often overlooked by visitors to the area in favour of nearby Florence or Pisa. It is best known for it’s city walls, which are still a prominent feature today, or as the birthplace of the composer Puccini. It was one of our favourite places to visit in Italy, with a relaxed vibe but still plenty to do. 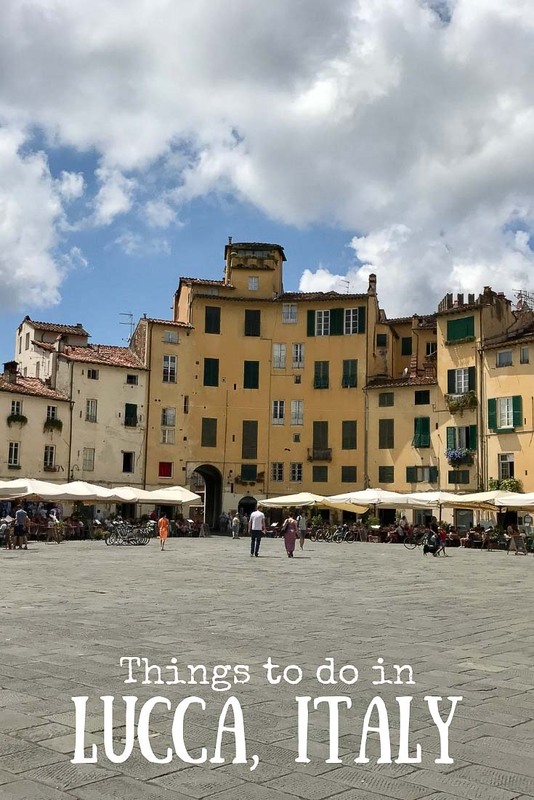 Looking for things to do in Lucca? Here is a small selection of the many attractions. 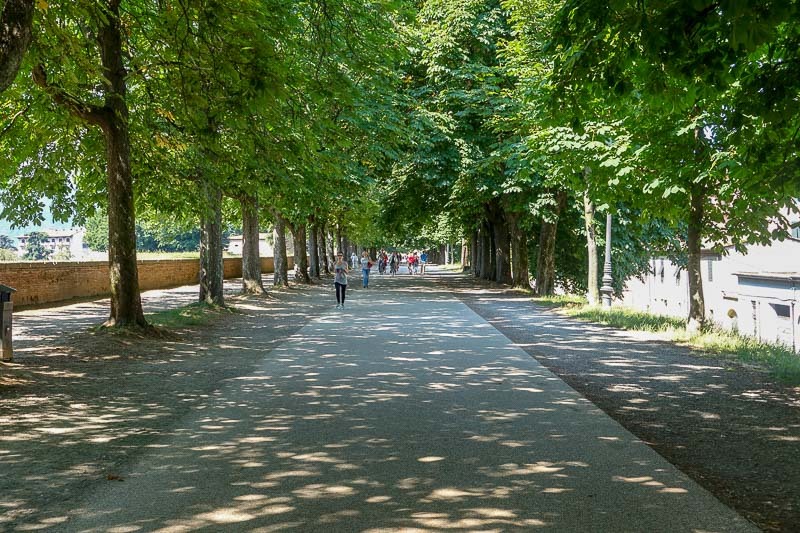 Once the walls of Lucca were no longer needed for protection, the people of the city planted trees on the top of them and created some great open spaces for relaxation. Part of this is a walking path that loops around the whole town. The whole walk is about 4km, but there are plenty places to get on and off of the walls so you can do only a section if you prefer. Another option is to hire a bike and ride. We saw many people taking up this option, particularly on those bike for 4-6 people that look more like a golf cart. 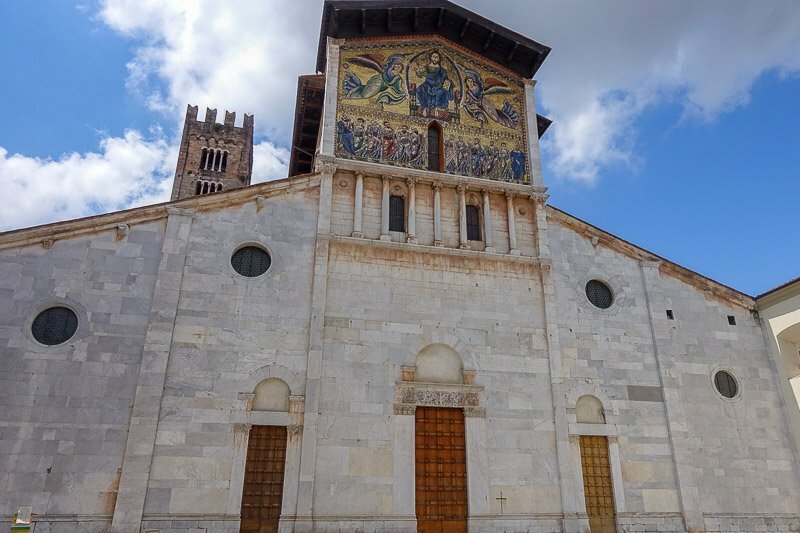 Also known as the Lucca Cathedral, It was built in the 11th Century and is a Catholic church dedicated to St Martin. 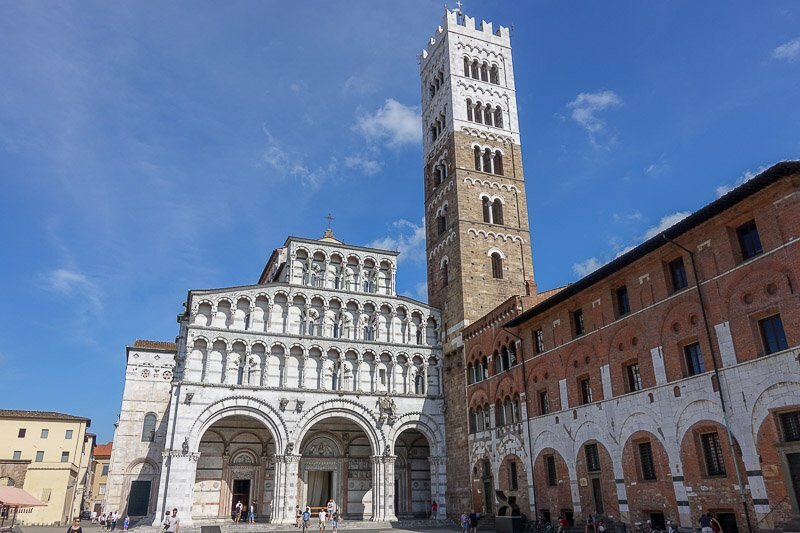 Last year the bell tower restoration was completed, and it is now possible to climb to the top for views over all of Lucca. 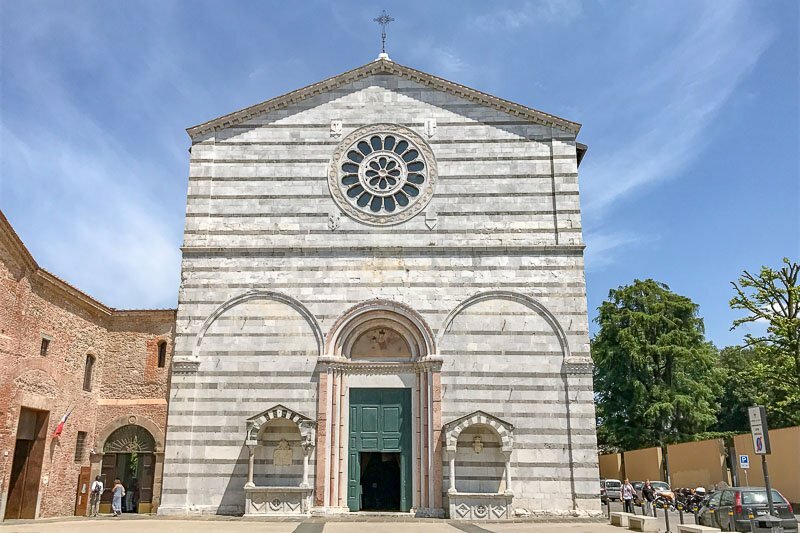 Also in the complex is also a museum you can visit, along with the baptistery and Church of Saints John and Reparata. To visit all four costs €9, with individual prices also available. For more information see the website here. It’s in Italian, and I used Google Translate to see the details. 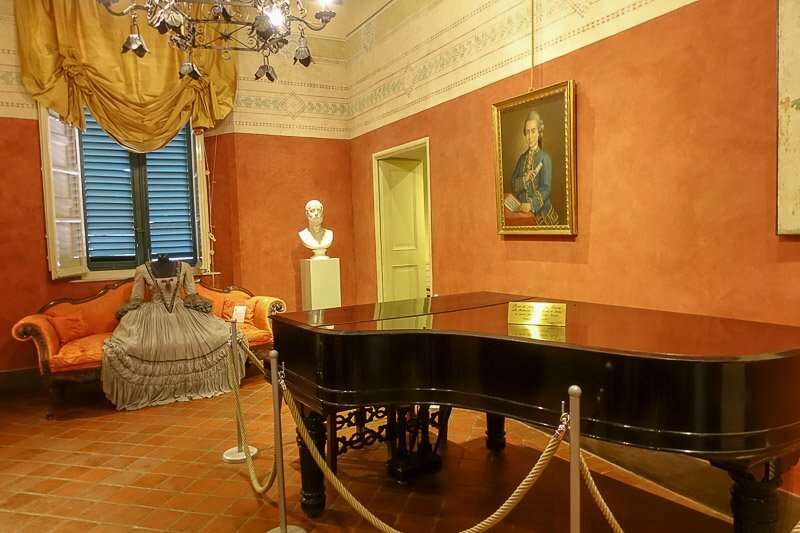 This is the house that Puccini grew up in, and it has been restored to be much like it was when he was there, but with added museum pieces about his life. Entry to the museum was €7 and more information can be found on their website here. 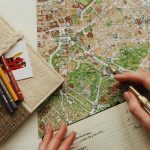 The website also provides other information such as an itinerary to visit places in Lucca that were important to Puccini’s life. 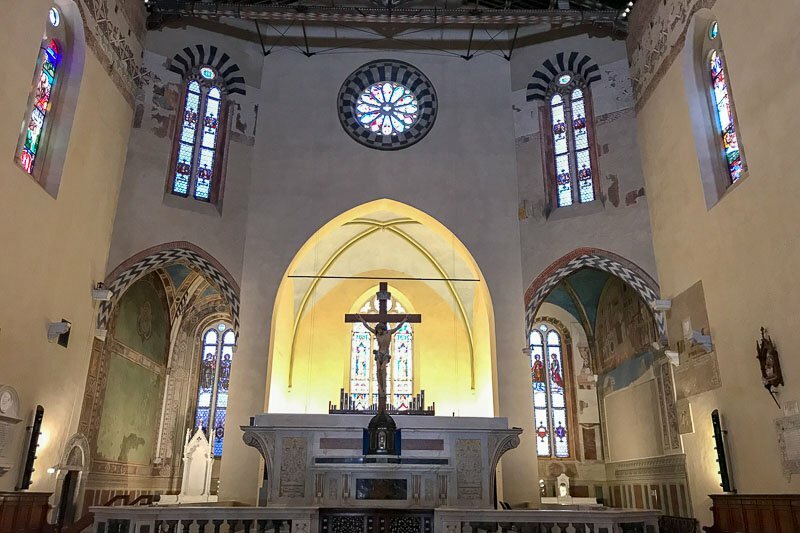 There are also many other Puccini-based activities in town, such as attending a performance of one of his operas, perhaps Madame Butterfly or La Bohème, that run year round at the Church of San Giovanni. For more information on these performances go to the website here. One of the things we enjoyed about Lucca was that it was green. There are more park areas than we have seen in other parts of Italy. Contributing to that are the Botanical Gardens. 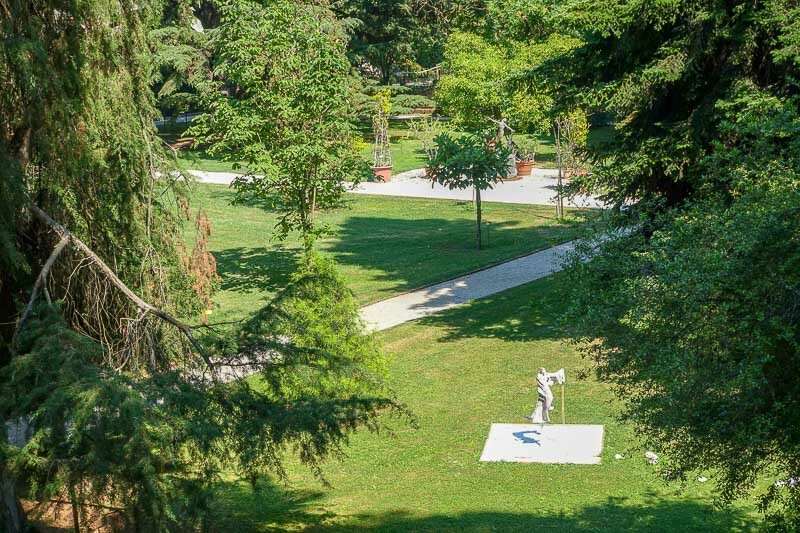 For €4 you can explore and relax in this peaceful garden. The host at our apartment recommended these local foods to try and where to get them. Necci & Cecina – from Pizzeria da Felice, via Buia 12. Unfortunately the day we went to seek them out was a Sunday, so the place to get Cecina and Necci was closed. 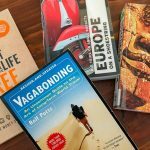 I would love to hear if you have tried them and what they were like. 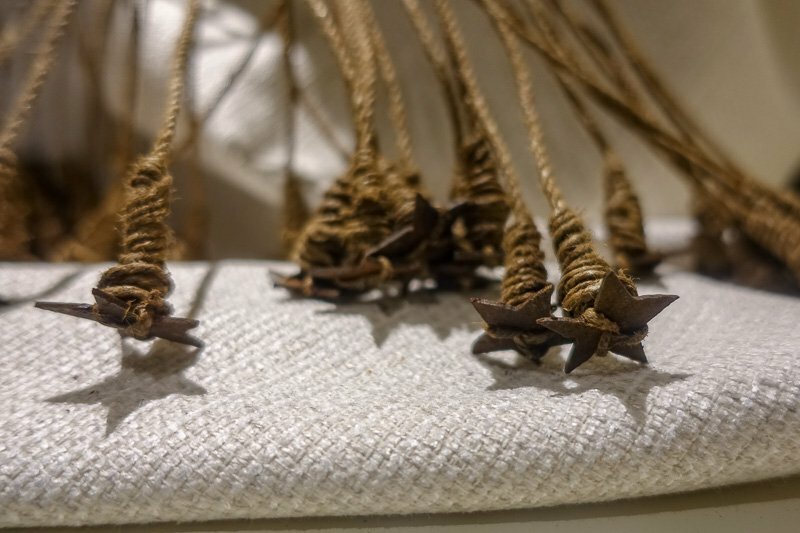 Buccellato – from Taddeucci, Piazza San Michele 34. 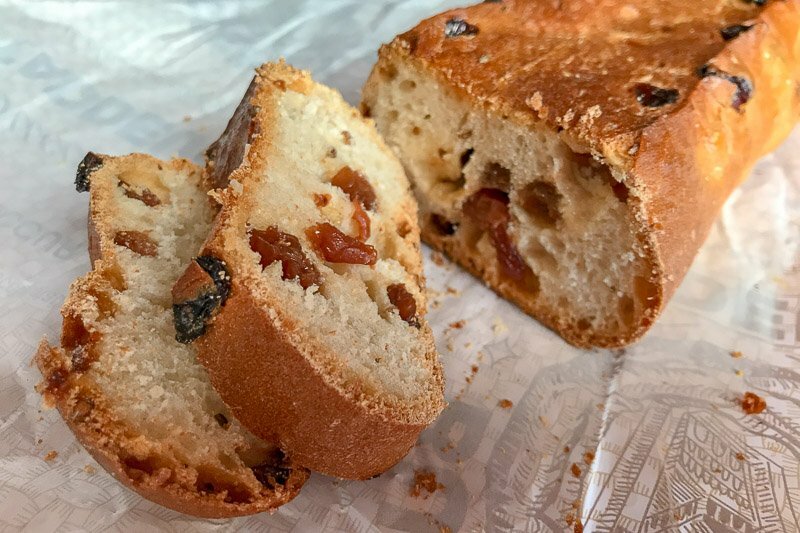 This is a dense cake, kind of like a fruit cake, with sultanas in it and it has an aniseed flavour to it. I generally do not like aniseed, but the flavour to this was quite mild. We tried it spread with butter like a sweet bread, and preferred it this way, but that is probably not the way it should be eaten! 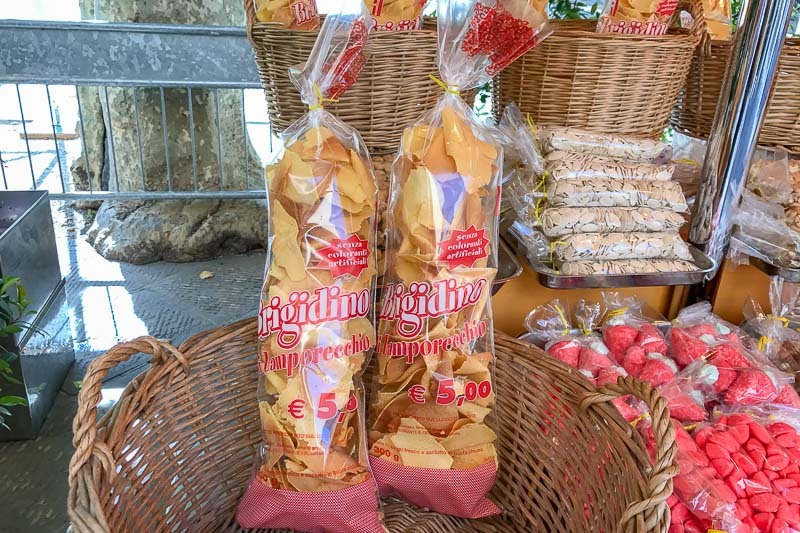 As we walked around the town we also saw various street stalls selling Brigidino. One of the stalls had a sign mentioning it’s origin. I think it was first made by nuns, but silly me didn’t take down the details, and Google is not helping me this time. I was able to have a taste, and they were sweet, with quite a strong aniseed flavour to them. The texture was like a thin wafer. I think if I liked aniseed, I would have really liked these. After nearly two months in Europe we were a bit museum’d out, so when I saw the Torture Museum I thought that at least that would be a bit different. Well, it sure was! It was quite small, and displayed various instruments of torture throughout the years. They even have an original rack! While it all looked quite tame, it was the descriptions that had me feeling a little queasy by the time we left. Entry was €10 and more information can be found on the website here. Right in the centre of Lucca is an anfitheatro. It is barely visible from the outside as it has been incorporated into new buildings, but once you walk into the centre of it the shape is clear. The anfitheatro is now apartment buildings, and the centre has been turned into a piazza, with restaurants, cafes and bars lining the buildings. This is the perfect spot to grab an expresso or spritz, and while away an hour or two watching the crowds come and go. 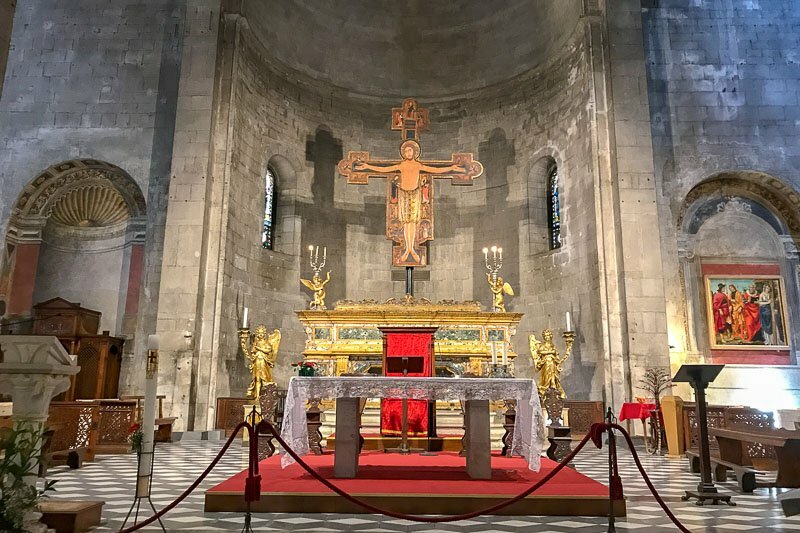 It seemed that whichever way we turned in Lucca there was another impressive church. Here are some of them you may like to include in your visit. 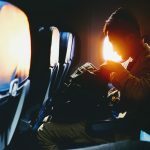 Mostly there does not seem to be any charge to enter the churches, but it is always important to watch out for signs about dress codes and whether photography is allowed. Basilica di San Frediano. We did not get to go inside this one as it wasn’t open when we passed. 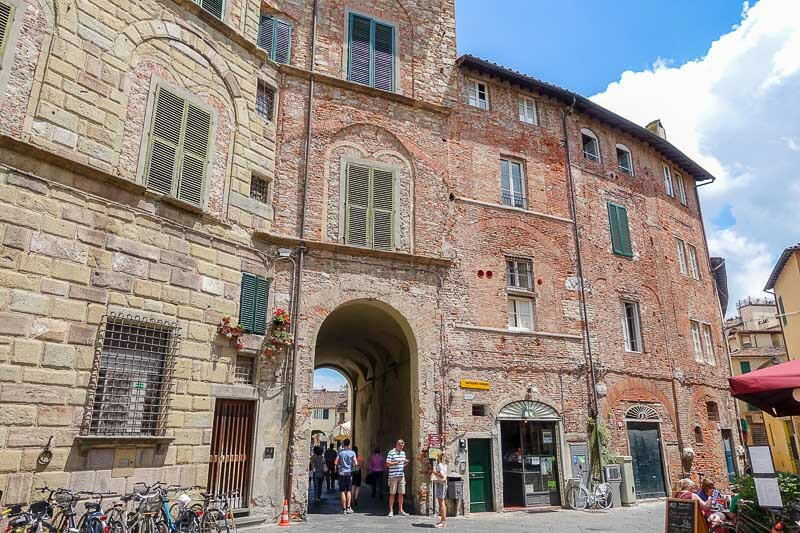 The closest airports to Lucca are Pisa (18km) and Florence (70km). 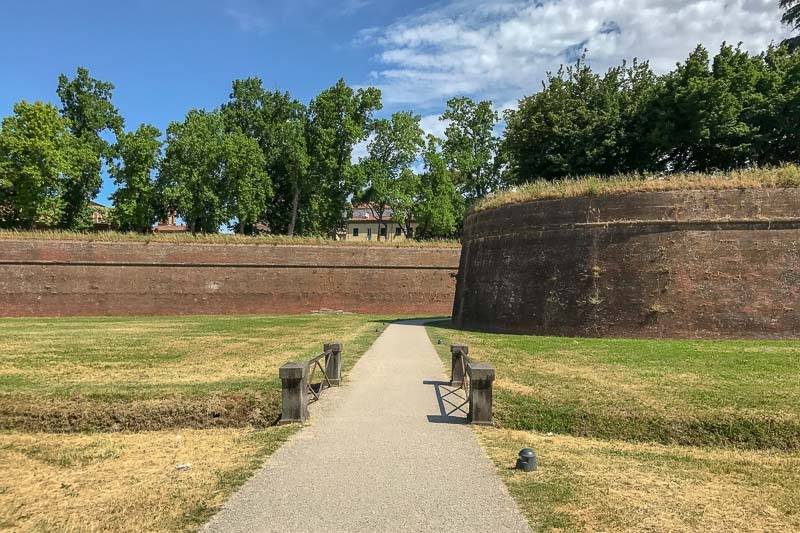 If driving into Lucca remember only residents are permitted to drive into the walled city centre. 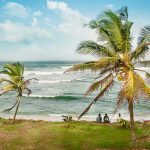 There are good public transport links with regular trains to many of the nearby towns. It’s about twenty minutes from Pisa (from €3.50) by train, and about 1hr 20 from Florence (from €7.50). We have been catching trains all over Italy, and they are reliable and clean. I recommend them as a cheap way to get around. Visit the Trenitalia website to plan your journey and see the prices. There are also buses available from Florence for as little as €3. Try Flixbus. We stayed at the Terrace of Perfumes, a self contained apartment only minutes outside the walls. 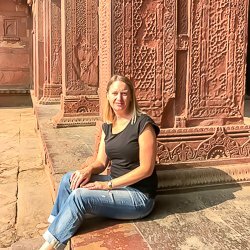 While being outside the walls may be inconvenient, the apartment offered everything we could want and more. The owners and apartment manager were all amazingly helpful, so I highly recommend this place. 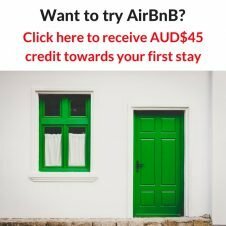 Click the link below to check availability. I like the idea of the Walls being used as Green Walkways. Thanks Carol. The walkways were lovely in the heat of the day. Going to Rome in a week I can’t wait, it has been too many years since I went to Italy!! Lucca seems like a lovely town! Italy is fantastic no matter where you go I think! Lucca was just a great place to relax for a few days. Next time visit the tower with the trees growing on top. Beautiful view to reward you after the long climb up! I loved there for a summer. Very fond memories. Thanks Rachel. 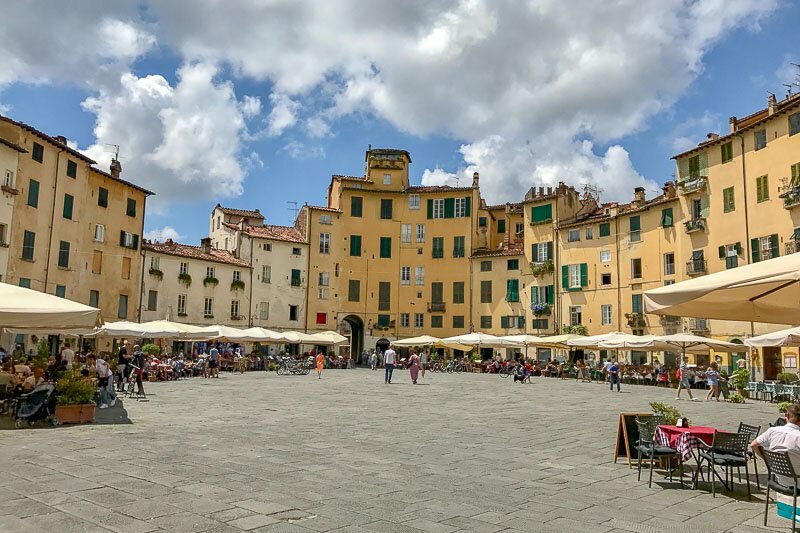 Living in Lucca for a few months would have been lovely! Thank you! It was probably our favourite place in Italy too.